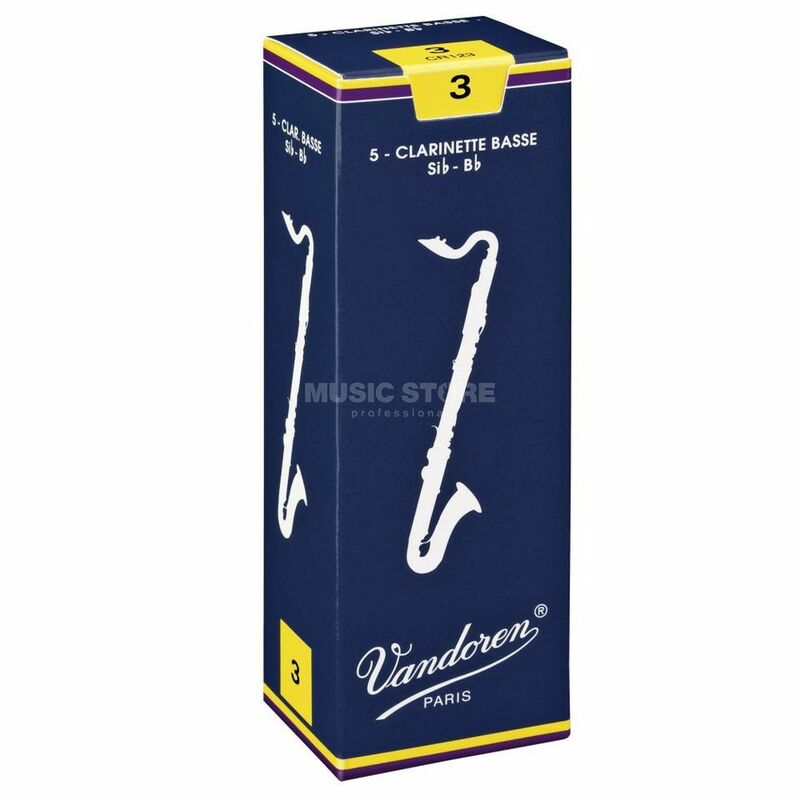 The Vandoren Classic Eb Boehm System Bass Clarinet Reeds Stength 3 Box Of 5 is a box of 5 Eb Boehm System Bass Clarinet Reeds, with a strength of 3. The most widely played reeds in the world with a superiority proven over the years, these reeds suit all styles of music. Traditionals are known for their excellent response in all registers, allowing a pianissimo attack in even the highest notes. They are also extremely flexible, allowing the legato or staccato execution of large intervals while maintaining a richness of tone that gives body and clarity to the sound, which is a hallmark of Vandoren reeds.